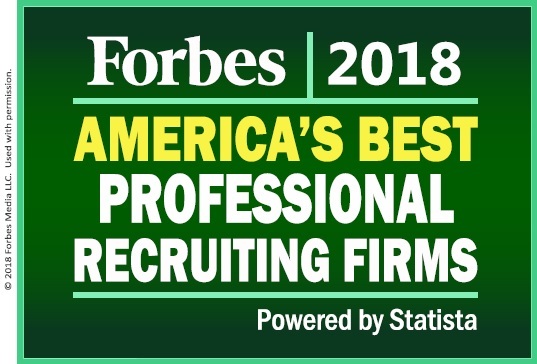 American Recruiting & Consulting Group, also known as ARC Group and is the parent company of Recruitment Intelligence, is very proud to have been recently ranked #11 by Forbes for America’s Best Professional Recruiting Firms for 2018. ARC Group strives every day to provide candidates and clients the best experience we can, and receiving this honor shows our hard work is paying off. You can review the Forbes rankings here. The Recruitment Intelligence™, a division of ARC Group, provides a solution that empowers companies by giving them access to the 85% of candidates not actively seeking employment (passive candidates). Clients receive a full report that compiles real-time market analytics including salary and benefits data, both on a local and national scale, as well as recorded video interviews of qualified candidates. Our research based talent mapping solution is perfect for companies of all sizes and is a refreshing alternative to typical Recruitment Agencies. We handle searches in all major cities, including Miami, Fort Lauderdale, Jacksonville, Boston, New York City, Washington, Chicago, Austin, Seattle, Los Angeles, San Francisco, Silicon Valley, etc. No matter what your hiring needs, we can help you secure the talent you would never get access to through running ads alone. When you have interviews at recruitment agencies and staffing firms, preparation is key. Researching and understanding the company you’re working for will make you stand out over other candidates. Even more importantly, it shows your genuine interest in the company and that you really want the job. Here’s our recommendations on how to best prepare. Research the company and the recruiting agency that represents them. Review the company’s website. Read Google’s “News” section about the company as well as the “News” section on the company’s website. Take notes on their current projects and how your skills apply to them. Find out the company’s CEO and executives; research their histories on LinkedIn. Prior to interviewing, ask for the team you’ll be joining and research the team members on LinkedIn. At the interview, point out that you’ve researched the company and their team. Highlight how your background meshes with their team. 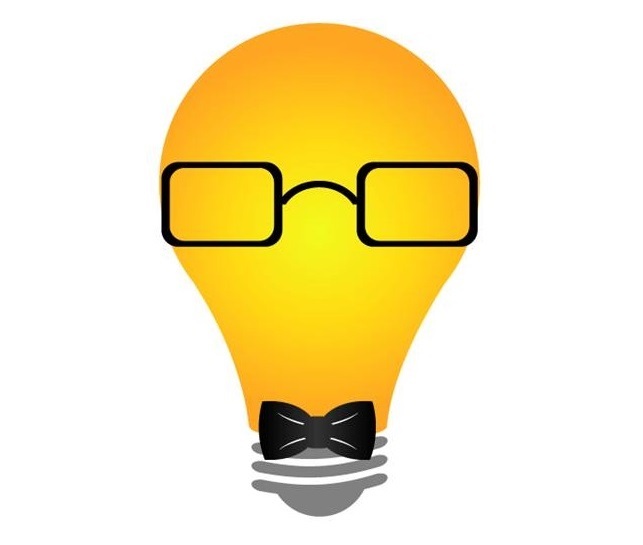 Mention their projects you read about and how your skills can be applied to them. Even if you won’t be working directly on those projects, it’s a value-add and shows you’re flexible and can contribute to many different areas. Analyze the job description. As any recruitment agency or executive search firm will tell you, match your skills to the job description. Bring a list of specific examples to the interview and summarize this at the top of your resume. Bring several copies of your resume to the interview just in case they decide to have you meet more people. Read about interview guidelines, responses to common interview questions, and what not to say at an interview, all of which you can find online. Here are a few examples: When a staffing agency, or recruiting firm, asks your weaknesses, do not mention that you work too hard. Discussions of money, health benefits and vacation policies should be reserved for later because talking about these details in the first interview sometimes turns off employers. Write down a few questions to ask the interviewer. Mentioning questions related to specific projects you read about is even better. Plan your attire. Conservative business clothes with professional shoes is best. If you’re told business casual, leaning on the more formal side is recommended. Have your clothes ironed and pressed and bring a padfolio to take notes. Following our advice, you should be all set for your interview. Show up at least 10 minutes early. Allow extra time for traffic and locating the building. End the interview with a follow-up thank you note the next day and you’re all set! The numbers are in from May on the economy and reports are showing 138,000 new jobs were created. This fell slightly short of the 180,000 that were expected, yet there was still a heavy increase in newly formed jobs representing a strong economy. Recruiting agencies and staffing firms have noticed employers vying for the same talent. The unemployment rate has fallen to 4.3%, a 16-year low. The household survey showed that there was a 233,000 person drop of unemployed workers in the last month. Employers notice a shrinking pool of candidates because of the low unemployment numbers and have been come to recruitment firms and staffing agencies. Both high-skill and low-skill workers are in demand. Healthcare and the service sector were leaders in employment growth. Professional services and business services added 38,000 new positions. This was the strongest growth of all sectors. Healthcare added 24,000 new jobs. Bars and restaurants also added 38,000 new jobs. Government and retail were some of the biggest losses of jobs, losing 8,000 and 6,000 respectively. Recruitment agencies and executive search firms have seen since 2012 a tremendous period of stead and solid job growth. With many baby boomers retiring, the growth of new jobs will likely absorb most of the new graduates entering the workforce. Twice in the past year more than 200,000 jobs have been added in a month. The average number of jobs added in the last few months is 121,000. The hiring of highly skilled workers is at an all time high. With the increased use of internet job boards, some companies may think they can recruit themselves without the use of a staffing agency. But recruiting agencies and executive search firms are just as important now than ever before. While internal recruiters are facing challenges such as not being able to acquire top talent, having more job openings than they can cover and facing an increasingly temporary workforce, recruitment firms can help companies overcome these obstacles. Staffing agencies have pre-existing relationships with highly qualified candidates. Recruiting firms are constantly building up their networks of passive candidates in anticipation of future needs from employers. Passive candidates are usually worth more to a company than active candidates because passive candidates are not looking for jobs. They’re too busy being successful in their current roles to be spending time looking for new opportunities. On the other hand, active candidates are looking for new jobs because they’re not performing, not getting along well with their bosses or other reasons which typically aren’t good. Passive candidates are also more difficult to get ahold of because most of them are not answering their phones when they’re at work. Recruiting agencies have already built up relationships with these candidates and can get in touch with them more easily. Recruitment agencies are specialized in different industries- one of the greatest advantages they offer. Internal recruiters are often staffing for positions that have nothing to do with one another. 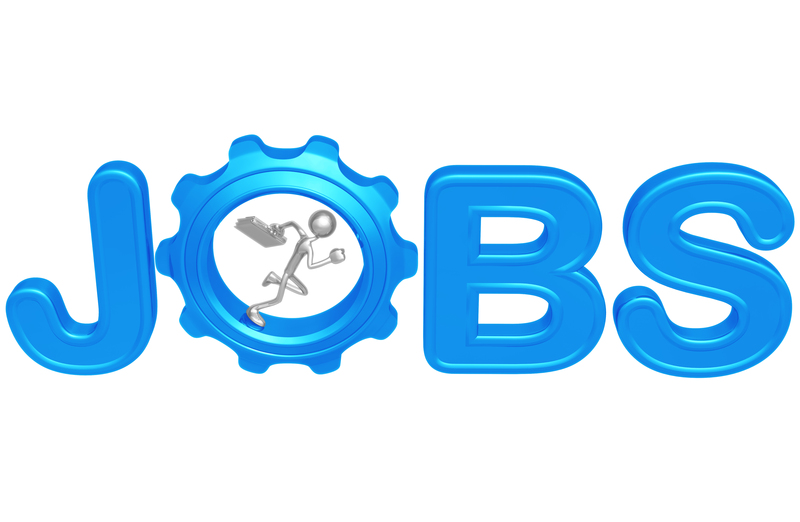 They’re recruiting for an IT auditor while at the same time recruiting for an accountant, paralegal, systems engineer and secretary. Often, recruiting agencies have departments dedicated to specific fields. A recruiting agency will have a medical division, IT division, accounting division, executive search division and so forth, each staffed with recruiters dedicated to that industry. Top talent in each department is pipelined in advance, so when a job order comes in a from a client they can present the best candidates faster than the company could have found the people themselves. In-house recruiters are often responsible for handling more positions than their time could possibly allow. With their limited resources, there’s only so much effort an internal recruiter could put towards each position. Staffing agencies present internal HR staff with only the best candidates that have already expressed interest. They’re vetted, they know the candidate’s “hot buttons” and they can do reference checks. Rather than hiring a group of mediocre candidates by trying to do everything themselves, a company can take advantage of a recruitment firm’s knowledge, expertise and resources to bring in more fitting candidates faster. Data can make or break your firm’s ability to acquire and retain talented people. 85% of candidates are diligent, employed professionals that are making an impact for your competitors and too busy being successful to respond to online ads posted by the majority of staffing agencies and recruiting agencies. These are the passive candidates. And to recruit them- a company’s incentive package needs to be big enough to pull them away from their current jobs. Traditional recruitment agency methods usually just involve placing jobs ads on Monster® and Indeed®. This provides no insight into the candidate’s background beyond what the candidate includes in their resumes. With Recruitment Intelligence™, a more in-depth profile is created. Recruitment Intelligence™ takes the guess-work out of hiring. Recruitment Intelligence™ develops a “talent map” using both internet searches and a hands-on approach to collect contact information and profiles of candidates. Recruitment Intelligence™ reaches out to everyone who fits the jobs description of an assignment and works with social media sites like Linkedin. They also have an understanding of how to get candidates to tell them about themselves during an interview, including their skills, experience and capabilities. Recruitment Intelligence™ builds a profile on each and analyzes their potential. One of the newest trends in the recruiting industry is video-based interviews. Companies say online video interviews save them time by providing a preview of the candidate’s intangible skills: personality, communication and presentation style. 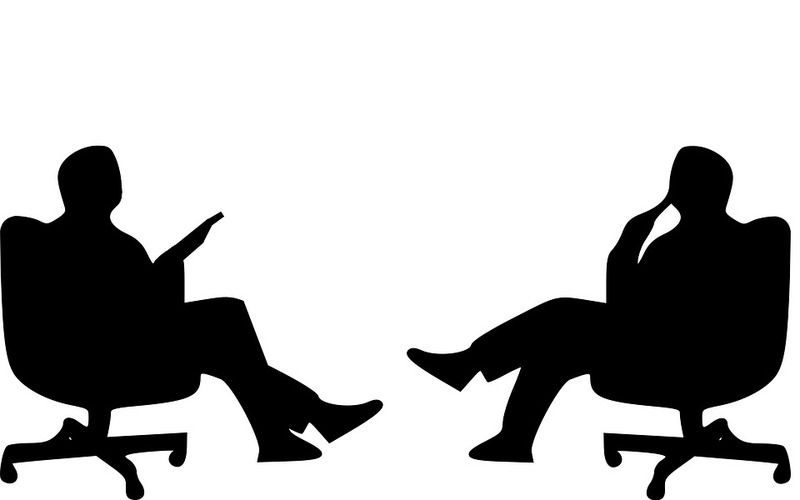 Video interviews provide all the features of face-to-face communication. Companies can do preliminary screening using video interviews before dedicating their hiring manager’s time to meet candidates face-to-face. Recruitment Intelligence™ is one of the first staffing agencies and recruiting agencies to develop this technology and employ it all their recruiting efforts. This report has been developed with the help of staffing agencies, recruiting agencies and executive search firms. In November of 2016, approximately 178,000 jobs were created in the U.S. economy. The national unemployment rate has declined, down to 4.6 percent. This job increase is in addition to the 142,000 jobs added in October and 208,000 jobs added in September. In terms of industry breakdown, the healthcare field added 34,000 jobs. Government added 22,000 positions. Construction gained 19,000 jobs. Temporary help added 14,000 jobs. Hospitality added 29,000 jobs. And finance has added 6,000 jobs. At the same time, a few industries lost jobs. Retail lost 8,000 jobs. Information services lost 10,000 jobs. Manufacturing lost 4,000 jobs. The numbers come from the Bureau of Labor Statistics, which surveys 160,000 non-farm businesses. Staffing agencies, recruiting agencies and executive search firms have seen a rise in the number of businesses searching for candidates. 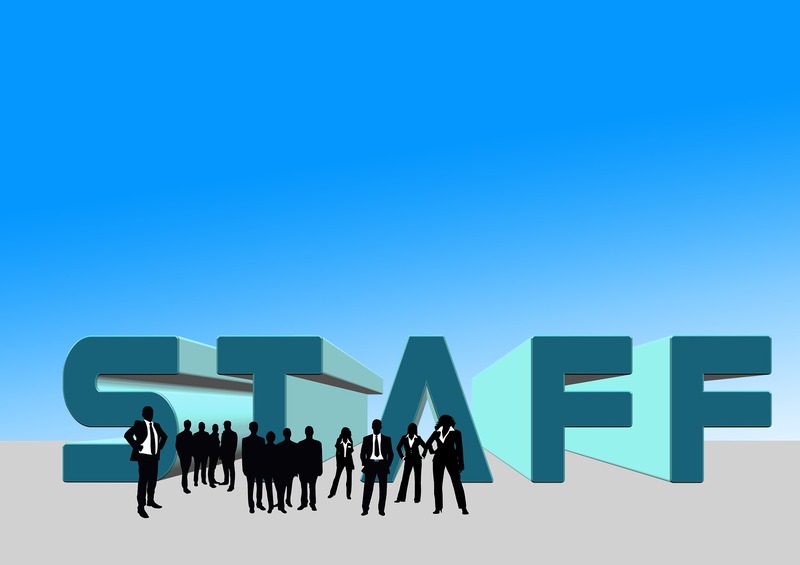 Many businesses that have never used staffing agencies before are finding them useful. They are finding the efficiency gains an enticing way to grow their companies without devoting resources towards an entire HR department. Recruiting agencies are also noticing the constantly increasing open positions from current clients. Companies of all sizes benefit from this refreshing alternative to typical staffing agencies, recruiting agencies, recruitment firms and executive search firms. Clients receive a report compiling qualified vetted candidates, salary and benefits data, and recorded video interviews of qualified candidates. No matter what your hiring needs, Recruitment Intelligence™ is a staffing agency, recruiting agency and an executive search firm which helps secure the talent you would never access through running ads alone. Recruitment Intelligence™, a division of ARC Group founded in 1982, handles searches in 19 offices located in Fort Lauderdale, Dallas, Los Angeles, New York City, San Antonio, Washington D.C., Atlanta, Boston, Houston, Miami, Orlando, San Francisco, West Palm Beach, Austin, Chicago, Jacksonville, Minneapolis, Raleigh and Tampa. Recruitment Intelligence™ has won over other staffing agencies and recruiting agencies to fill a mechanical engineer position, proving their leading research model as a staffing agency and recruiting agency. The client started the search using several staffing firms and executive search firms to find the right candidate, but most of the recruitment firms dropped out of the race because they couldn’t find enough qualified candidates. The client is a large multi-national company with 28 offices worldwide and representation in 35 countries. The company services the energy, construction, security, telecommunications, and environmental sectors focusing on multi-billion dollar projects. As one of the few staffing agencies and recruiting agencies to continue recruiting on the search, Recruitment Intelligence found a candidate with the required experience in commercial and residential hi-rise buildings as well as experience designing mechanical systems (HVAC), plumbing systems and fire protection systems. The 40-year-old company has over 1,000 professionals working in its offices worldwide and has over 15 billion dollars in projects underway. Recruitment Intelligence uses a unique research method that differentiates itself as a staffing agency and recruiting agency . Their executive search firm research-driven method has been developed and refined over the last few years to help their client’s recruitment efforts. Experience. Staffing agencies and executive search firms understand the job search process. The average professional changes jobs every three years and is out-of-touch with current market conditions. The job market can change drastically since the candidate was last seeking employment. Many candidates mistakenly believe the market is the same and are caught by surprise. Recruitment firms are frequently placing candidates so they understand which skills have high demand and can help job seekers navigate through the market and experience less challenges. Feedback. One of the most frustrating parts of a job search is not receiving any feedback. Many candidates submit their resume and never hear from the employers the reasons they aren’t a good fit. When you work with executive search firms and recruiting agencies, you’re able to get more access to this information and improve your job search. Many times, the recruiter has been working with the hiring manager for many years and understands the skills they’re looking for that aren’t listed on the job description. Additional Job Opportunities. Job seekers can find jobs opportunities that they wouldn’t be able to find themselves. This is because a staffing agency not only has more experience, but some jobs are given exclusively to them. Many times clients will go to an executive search firm before going to the general market. Staffing agencies have access to the “hidden job market.” Sometimes, hiring managers will ask agencies to fill positions that even people at the company aren’t aware of. A staffing agency may pitch a candidate they know the company would be interested in even when there isn’t a formal opening. Employers will make a new position for exceptional candidates. Specialization – Recruiting agencies and executive search firms have experience placing many people over the years. They know where to source candidates from and ask the important questions to see if the candidate is the right fit. Staffing agencies will also run background checks and follow up with references. A good recruitment firm will have a proven track record of success and usually offer a guaranteed replacement period too. Saves Time – Hiring people can be time consuming, especially when a company has to sort through many un-qualified applicants responding to job ads online. This takes away time and focus from the company’s current projects. Hiring a recruiter will allow company management to focus on what they do best and let them only spend time interviewing the best-fitting candidates. Screening – Executive search firms will conduct preliminary interviews before they present you a candidate. They will fact-check the resume and ask detailed questions about the role the person played inside the company. If there are any job requirements not mentioned in the resume, a recruiting agency will find out if the candidate has those skills but happened to not list them in their resume. Access to the Best – Recruitment agencies will have access to the best talent in the market. Recruitment firms will have their own database of candidates to source from. Many of these candidates will not be submitting their resumes to job ads online because they’re too busy being successful at their current company and not actively looking. Recruiting agencies will call candidates at competing companies and convince them to consider taking a career change. If a company did this themselves, not only would it damage their brand but it would most likely take longer as well because they have other duties and priorities other than just recruit. Many times a staffing agency will bring you more qualified candidates and do it faster than a company can do themselves. Here are 4 of the fastest growing jobs right now in the U.S.A. These positions can be found using staffing agencies, recruiting agencies and executive search firms. The demand for wind turbine service technicians is expected to grow rapidly during the next decade. This is fueled by the increased use of renewable energy to lower energy costs as well as become more environmentally friendly. Most of these jobs are located in the Midwest where the flatlands allow for wind to build up and bring consistent airflow through the wind turbines. There are also opportunities for this job offshore where winds are consistent too. The current median wage for this position is $50,000 and job growth is expected to double according to reports from staffing agencies. Occupational therapy assistants help anybody with developmental disabilities, from children to the elderly. They help them perform day-to-day tasks. These include all types of tasks such as school work, eating and socializing. This position requires excellent personal skills and patience. The growth for this position is expected to increase by 35-45% in the next 10 years. The average pay is $50,000-$60,000. Physical therapist assistants help physical therapists in their job. They help patients recover from injuries. As the population ages, it’s creating a significant increase in the number of physical therapist assistants needed. Also, there are many new advances in medical technology every year which is creating more need for physical therapist assistants to run these devices. Many analysts expect this generation will stay active as they get older. This will cause more injuries which require the help of physical therapist assistants to recover. The average salary is $40,000. Physical therapist assistant positions are typically filled by staffing agencies and recruiting agencies. Home health aides help the elderly, as well as those chronically ill and disabled. They help with daily living and are an attractive option because they are less expensive than nursing homes or hospitals. There is an expected 40% increase in home health aides in the next decade. There will be steady demand for this position as the population ages. Because of the less technical skillset required, the average wage is only $20,000 for this position.